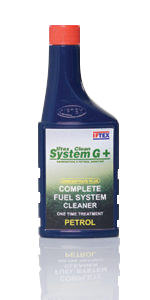 IFTEX CLEAN SYSTEM G | IFTEX OIL & CHEMICALS LTD.
IFTEX Clean System G is a Generation V gasoline fuel additive, with outstanding clean-up and keep-clean properties, most convenient to use by adding to the fuel tank in the recommended proportion and designed to keep the fuel system free of performance inhibiting deposits. Recommended for all modern petrol engines operating under high driving stress both in city traffic and on highways at high speeds. Recommended for cars both with fuel injectors and with carburetors. Also recommended as a preventive maintenance product to be used regularly for keeping the fuel system and engine in top working condition. Cleans Fuel Injectors and carburetors of dirt, gum and varnish deposits without taking them apart. Cleans intake manifolds and intake valves and restores proper compression. 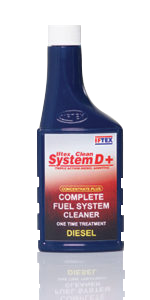 Increases fuel efficiency by keeping the fuel system, including the combustion chambers clean. 1 ml per litre of Petrol.